Jump in our comfortable 12-seater mini-bus as your expert driver-guide journeys through beautiful Waikato countryside toward Hobbiton. 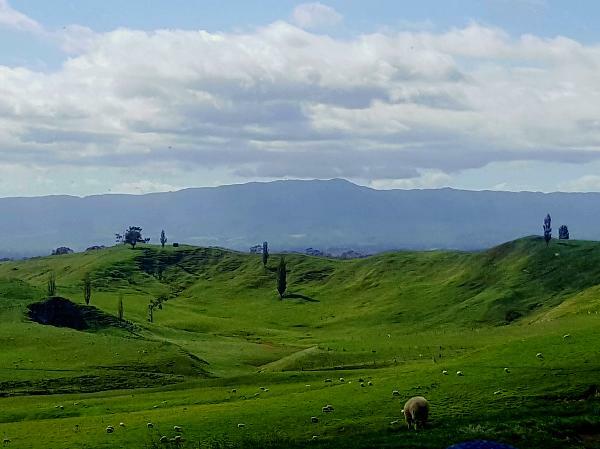 In true kiwi style, you will see an abundance of sheep at the Alexander Family Sheep Farm, where you can grab a bite before boarding the bus to the famous Hobbiton Movie Set! You'll get the full experience with a two hour fully guided tour as you hear fascinating stories and discover the 12-acre movie set, The Shire, 44 Hobbit Holes, and gardens topped off with a beverage at the renowned Hobbiton pub - The Green Dragon Inn. We next travel south through the unique town of Tirau (the corrugated iron sculpture capital of the world) and the stunning Fitzgerald Glade toward Hobbiton passing many iconic landmarks along the way before arriving in Rotorua for a guided tour of the city. 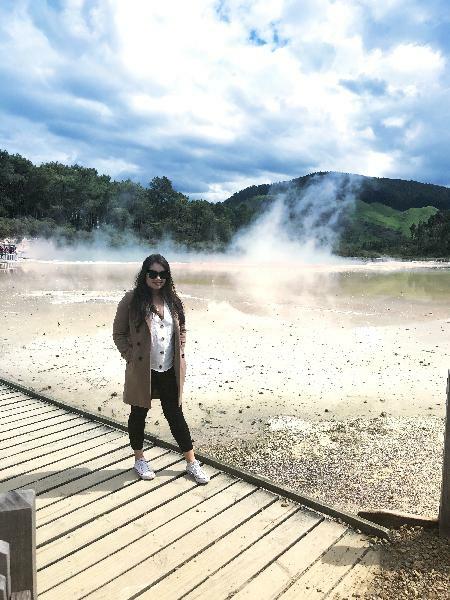 You'll see all its famous and historical sites including Lake Rotorua, The Government Gardens, the Blue Baths, Thermal Springs and Polynesian Spa before having a delicious lunch and heading to what is considered one of the most surreal places on earth - Wai-O-Tapu Geothermal Wonderland. 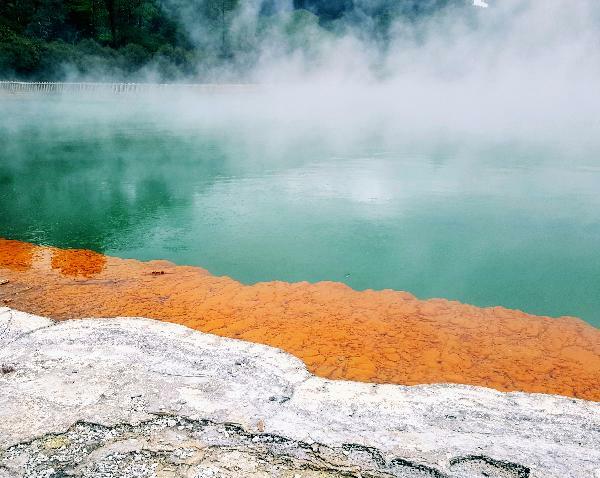 Discover amazing geothermal craters, local mud-pools, Champagne lake, Devil's bath and other geothermal wonders before we travel back to Auckland. It was a nice trip, thanks Ciaran !!! 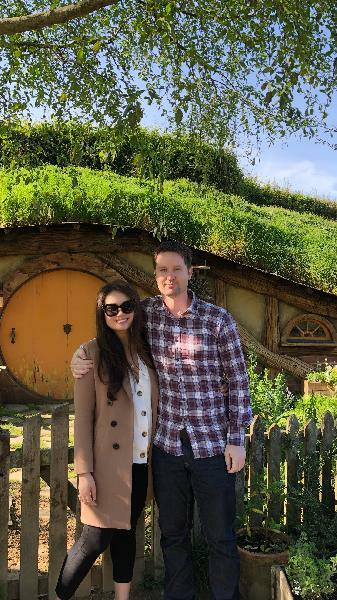 Yesterday my husband and I did a fantastic double tour of Hobbiton and Wai-O-Tapu tour with our tour guide Kreig. Kreig was great, friendly and informative. He knows all the best picture taking spot and all the little info where to go and what to expect on the tour. He looked after us really well providing us some snacks, water and laughter! Overall, I would recommend this to everyone who want to do this tour! Our tour guide, Kreig, is very passionate about NZ. Gave us a lot of information and fun facts. Both places were amazing! Cheeky Kiwi team were fabulous. Special thanks to our guide Lance. Totally recommend this tour! Good deal + Fantastic tour!! Thanks Bookme! Was firstly impressed with our driver/guide's prompt pick up from our chosen location. Louise's safe driving then brought us nice and early to Hobbiton ahead of the crowds which turned out as a huge advantage for us as people started flooding in. Needless to say, we had the set to ourselves and took awesome photos. Despite it being a full day tour, Louise was highly organised yet also accommodating to our requests for toilet breaks and some time to stretch/rest. Extremely happy that the tour didn't feel rushed. Plus, her awesome commentary about the sites we visited and New Zealand in general kept us curious throughout the day. More power to Cheeky Kiwi Travel! Your message has been sent to Hobbiton & Rotorua (Wai-O-Tapu) Small Group Tour (Return Trip). You should hear from them shortly. Please note: all responses will come directly from Hobbiton & Rotorua (Wai-O-Tapu) Small Group Tour (Return Trip), and not the team at Bookme.